This new type is unadjustable. EOS-T2 support Canon EF lens only. EOS-T2 adapter with the 5mm T2-extender, suitable for all 12.5mm backfocus ASI cameras such like ASI120 ASI224 ASI290 ASI178 ASI385. 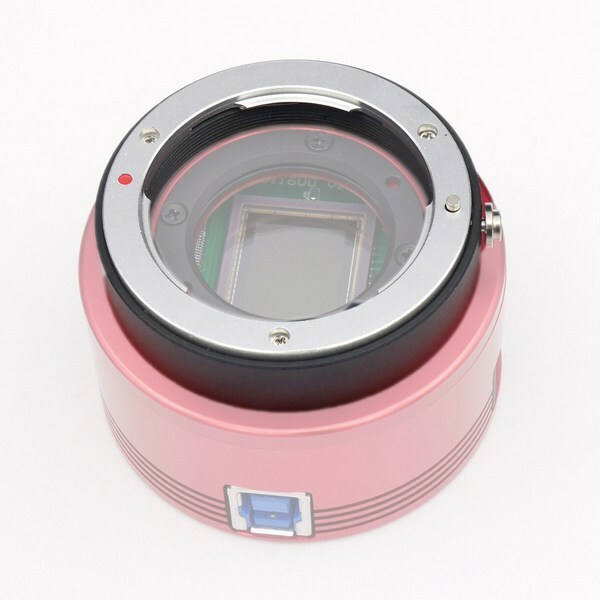 You can use 2″ IR-CUT filter with the adapter. Any news with this product stock? We are looking forward to buy one! Oh heck – I just realised I posted this in the wrong place – I’m talking about the other adapter for use with EFW . sorry! Hi. I have ASI1600 and ASI 290. The 1600 has 6.5mm spacing to sensor, where the 290 has 7.5mm spacing. I dont think I would want to use the 290 with the camera, but do you think it would be OK with 1mm error? ALso, maybe it would be better if this spacing was standardised as 6.5mm for all ASI models. Are you getting new stock soon? Can I use this adapter with your EFW 7×36? 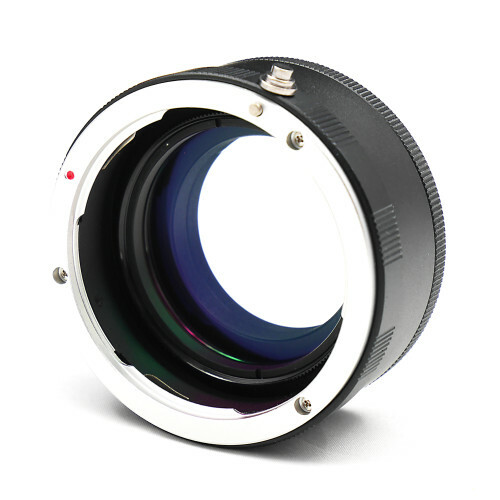 the flange focal distance of the Canon EF mount is 44.0 mm, the distance between the EF flange of the adapter to the T-mount flange of the adapter is 26 mm to 33 mm. Shouldn’t the camera then have a back focus distance of 11.0 mm to 18.0 mm? yes, for exemple. 1600mm-c have 6.5mm back focus, but it have a 11mm T2 ring can be uesd to extend the back focus length to 17.5mm. Showing as out of stock. When do you expect to have more? It will avaliable in two weeks. 1) Does it support asi178 and asi120? 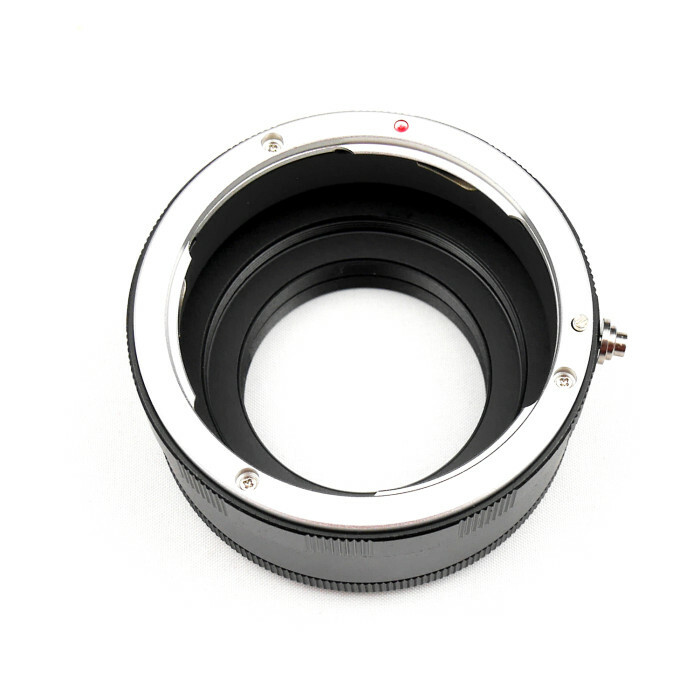 2) Can I insert other 2″ filters, like H-alpha filter? Actually, thinking about the above idea, you could leave the 48mm filter adapter as-is, and use a step down ring if you want to use a 1.25″ filter. 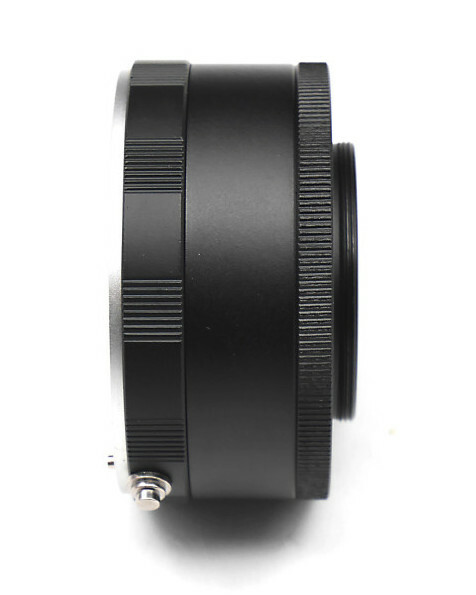 Would you consider offering an additional camera side piece with a C-mount thread (1″-32tpi) and 1.25″ filter holder? A T->C adapter won’t work as it becomes too long to focus. Lot’s of folks out there would LOVE to have this to use with their C & CS mount cameras and NV gear! It would also work with your Nikon lens adapter. Thanks! 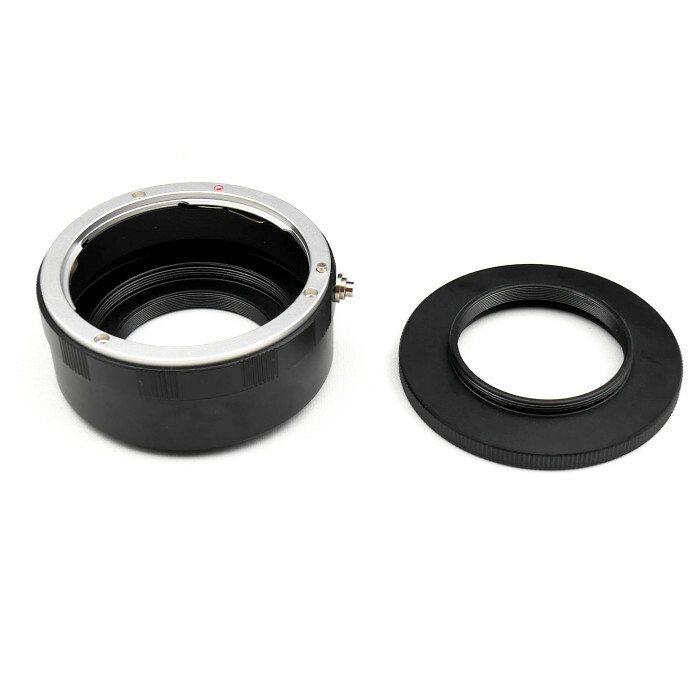 Is where any way to use this adapter with 1,25″ filters? Hi. Is there a way to mount this on a dovetail etc? I.e. does it accept some sort of screw or similar? I see a silver part on one side, but I can’t figure out what it is, it doesn’t quite look like a screw. Can you please confirm that the “New EOS-T2 Adapter suitable for all ASI cameras” is designed to work with the “Nikon AI-EOS Adapter” for my ASI1600MC & Nikon Lens? Camera Lens can reach infinity focus without other modification? Does it have a place to screw in a M48 filter? Is the Nikon version coming out soon? I have a canon EF 75-300mm lens (standard EF mount) and an ASI120MC. Is the EOS-T2 adapter sufficient to connect these two, or do I need some other adapter as well? 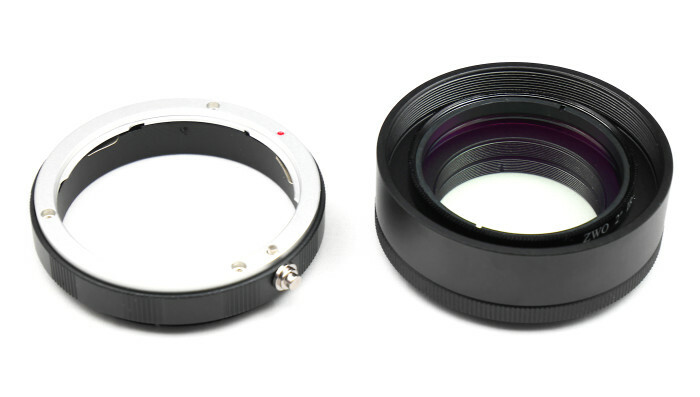 Does it fit 2″ filters like the one for ASI1600? 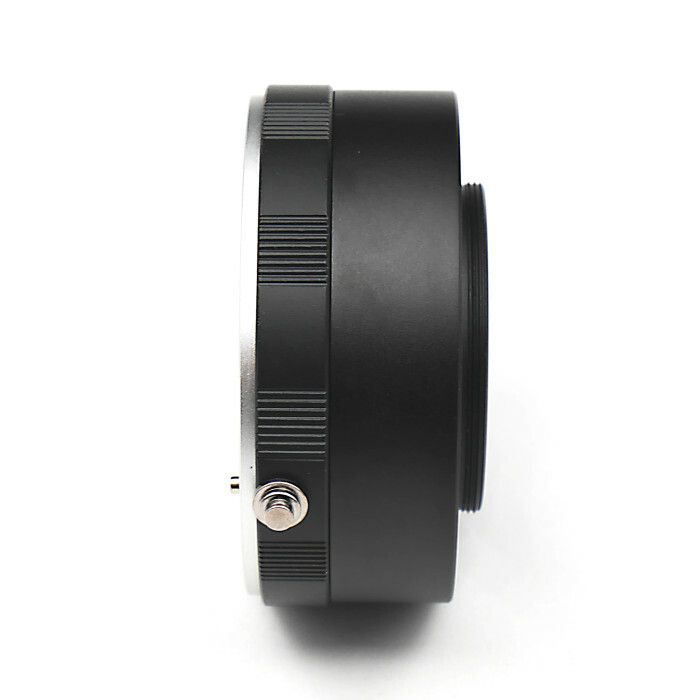 Can I use this adapter with the ZWO manual filter wheel? Will it be possible to reach optimal focus that way?